Creates a Ceph Pool with the specified level of redundancy. 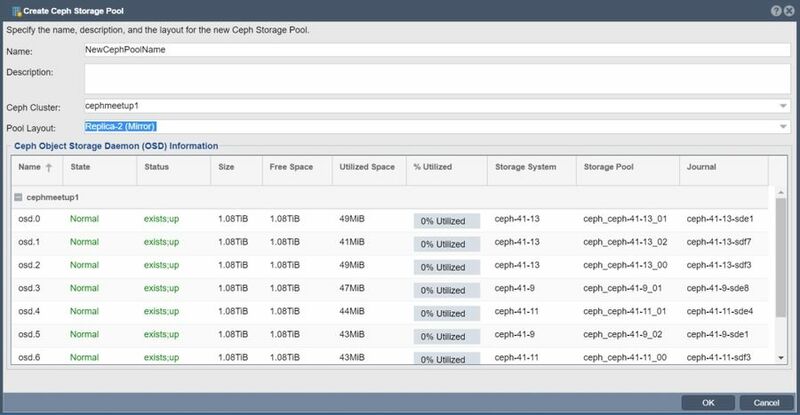 All of the available OSDs will be used to create the Ceph pool and the redundancy level indicates the number of copies of the data which will be maintained across the cluster. This page was last modified on 20 July 2018, at 16:33.